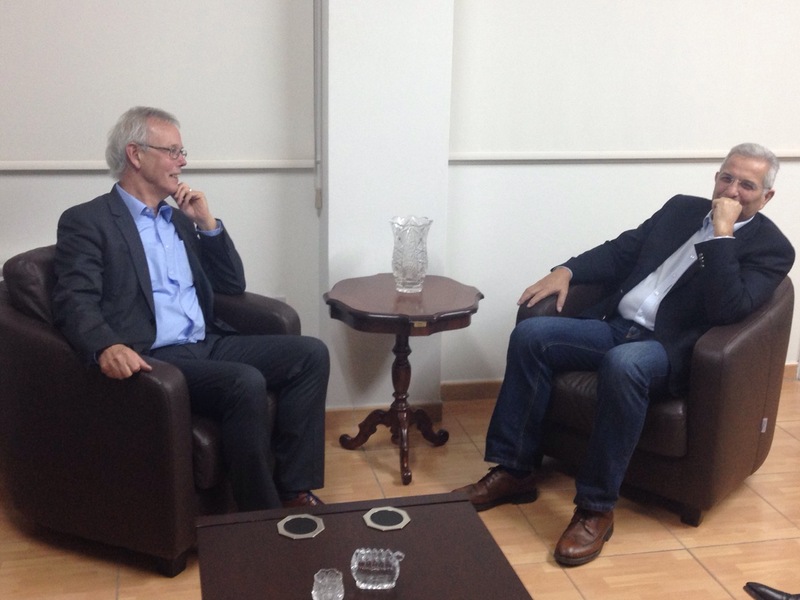 On 25/11 the chairman of UEL, Mr. Kox met with the Secretary-General of AKEL Andros Kyprianou, also former vice-president of UEL, to discuss the chance to complete the unification process of Cyprus in the nearest future. The party of AKEL which always kept the issue high on the agenda, played and continues to play a very active role in this process. Mr. Kox attended the Bureau meeting and Standing Committee meeting in Nicosia within the framework of the start of the Cypriot Chairmanship in the Council of Europe. The Standing Committee meeting concluded with the adoption of the Nicosia declaration which states that in these difficult times of conflicts, external threats, internal unrest and rising nationalism it is more important than ever to facilitate international cooperation between the Council of Europe member states in order to cope with these increasing challenges.